Office Chairs Unlimited is proud to announce the arrival of the Full Mesh Heavy Duty Office Chair from Office Star. Our customers asked for a big and tall mesh chair and we are excited to offer you these two. Choose from either this full mesh heavy duty office chair or our offered 75-47A773 Mesh Back Big and Tall Chair with leather seat. 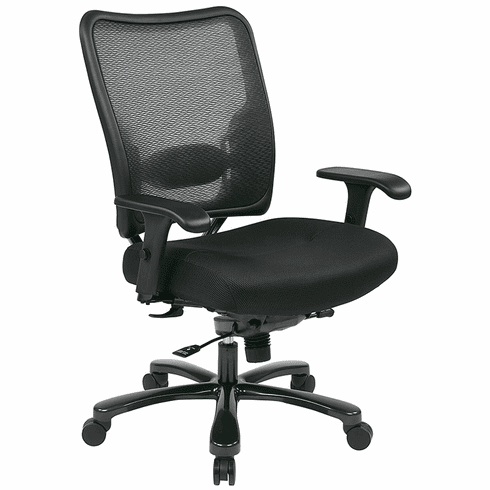 These full mesh heavy duty office chairs normally ship in 1-2 business days from our CA warehouse.